The tricks in this ebook represent a selection of the best tricks from each issue of Magic Is Fun , a magazine now out of print. Wherever possible, credit has been given to the originator of each trick or its presentation. 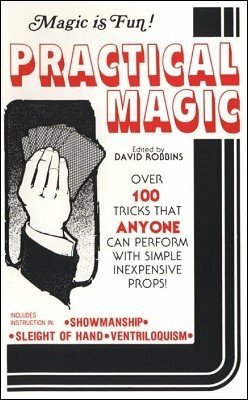 Over 100 tricks that anyone can perform with simple inexpensive props. Including instructions in showmanship, sleight of hand and ventriloquism. 1st edition 1953, 79 pages; 1st digital edition 2016, 150 pages. At first, I thought the price is a misprint. Then I just grabbed it. What a bargain for the huge content.